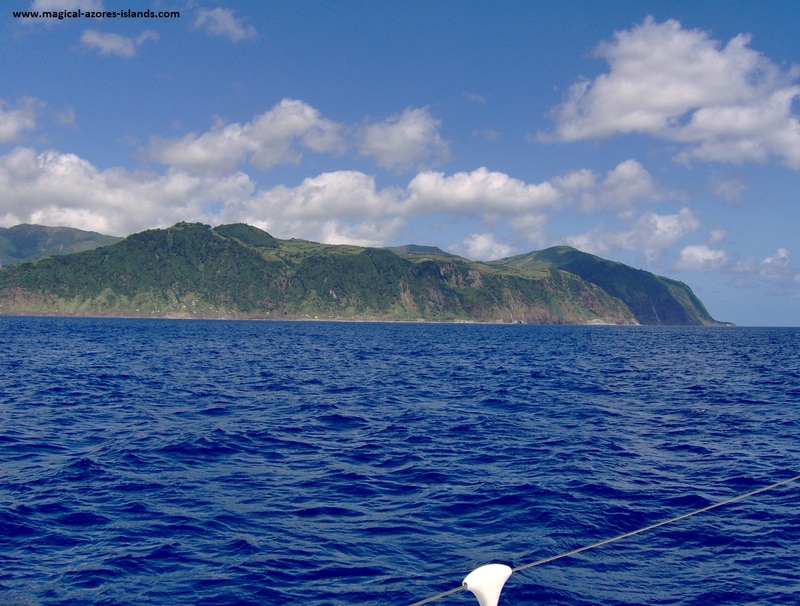 My Azores Sailing experience was one that I will never forget. 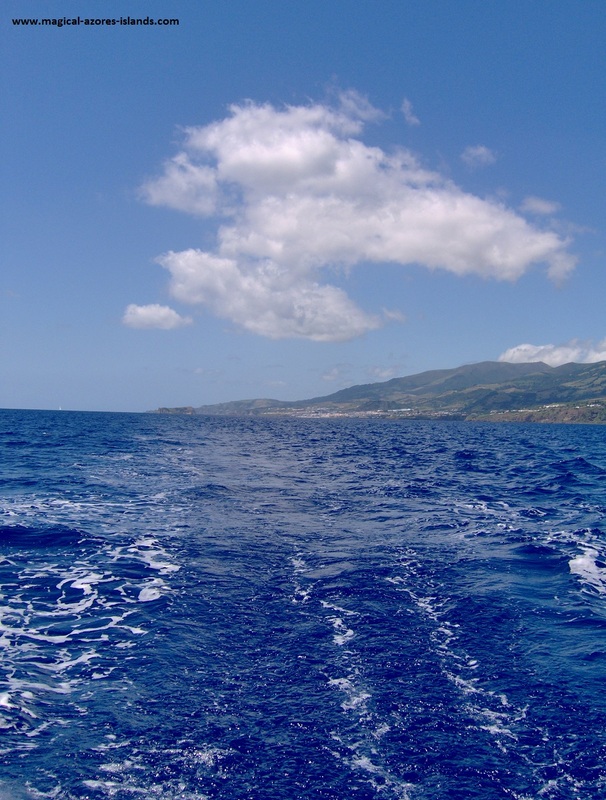 I have been sailing plenty of times in my life, but my first time sailing in the Azores was pretty special. 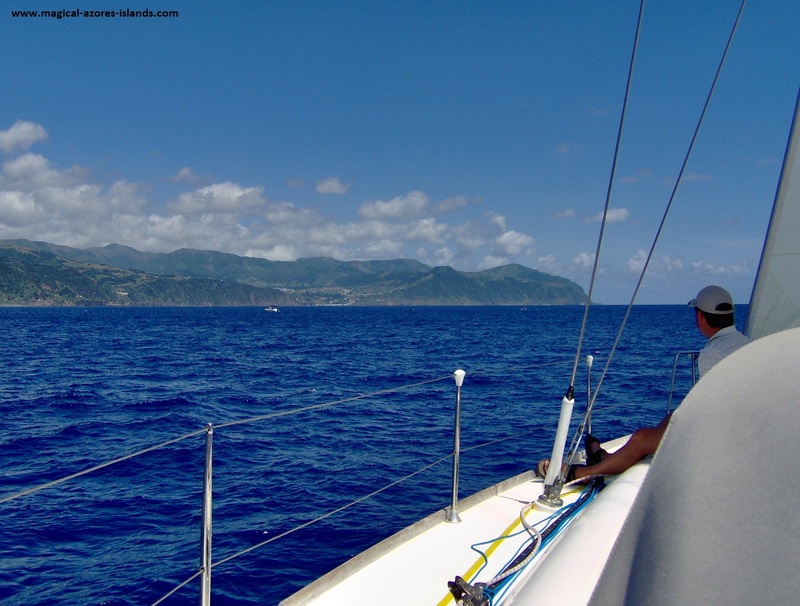 It was a great day out on the water and had everything you could ask for in a sailing trip. (Unless of course you want bad weather and huge waves!) But it really was a great day thanks to the weather, the dolphins, the whales, and the beautiful view of the coastline. The prominent yellow building is a hotel. And you can see a newer waterpark on the right that features waterslides. I have never been ... that's not the reason I go to the Azores. As we headed out of the marina, our captain asked us what our objective was for the day. Did we want to see whales and dolphins? Or did we want to swim? 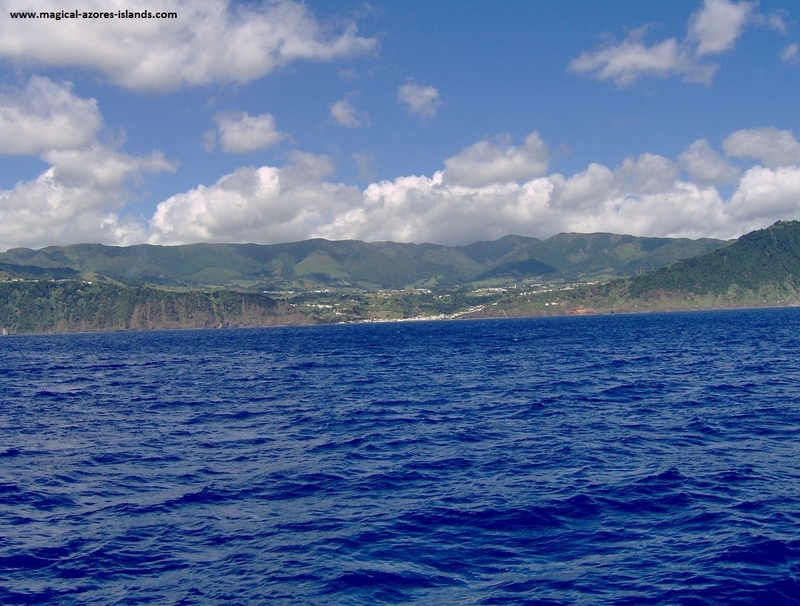 Or was seeing a certain point on Sao Miguel something we wanted to do? None of us had packed a swim suit, but we all wanted to sail and hoped to see whales and dolphins. 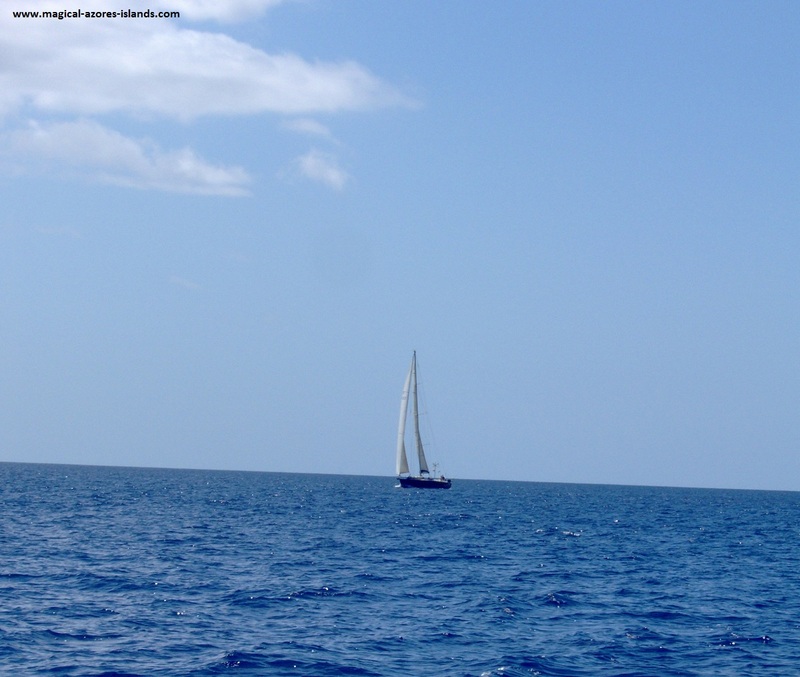 He said that there was no guarantee of seeing whales or dolphins on the sail boat but he would communicate with the whale watching observation towers (posted high up on the island) to see if any were nearby. The first report back to us was that the nearest whales spotted were many miles out and it would take a great deal of time to try and track them. We told him not to worry and to take us along the coast. So we headed East along the southern coast. The sails were up within minutes of departing the marina and the wind got us moving at a very good pace. The water was quite calm despite the good wind and we had a very comfortable ride. We had great views of the coast line all along the way. And every so often our captain would put a radio call in to the whale watching towers to see if any whales or dolphins could be spotted nearby. Unfortunately after an hour or two we resigned ourselves to not seeing any whales or dolphins. But it was okay, the sun was shining, the view was marvelous and we were all enjoying each other's company in comfort. After about two hours of enjoying the view of the coast, we suddenly had a great surprise. 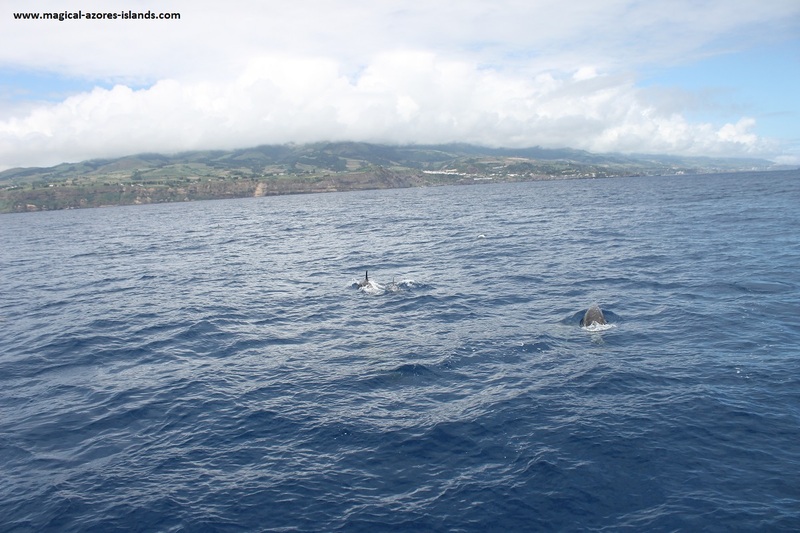 A pod of dolphins came upon us and befriended us through quite a show. 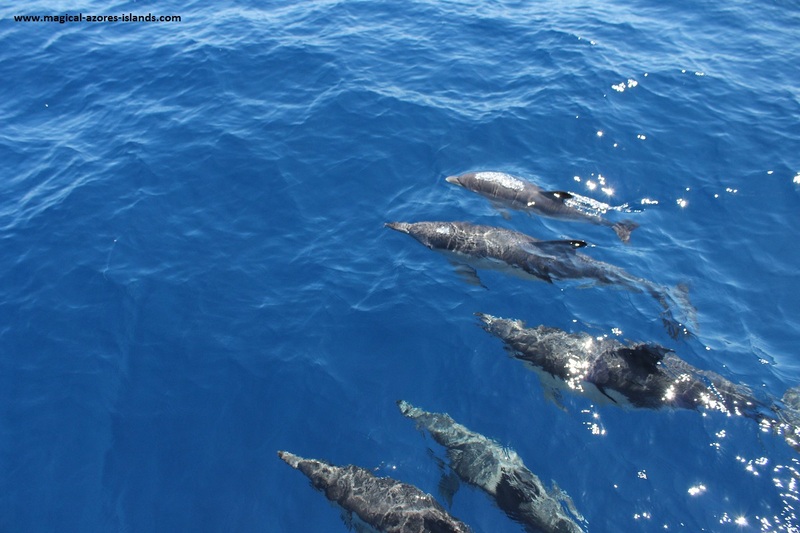 It was quite extraordinary seeing them swim alongside, around and right under the boat. 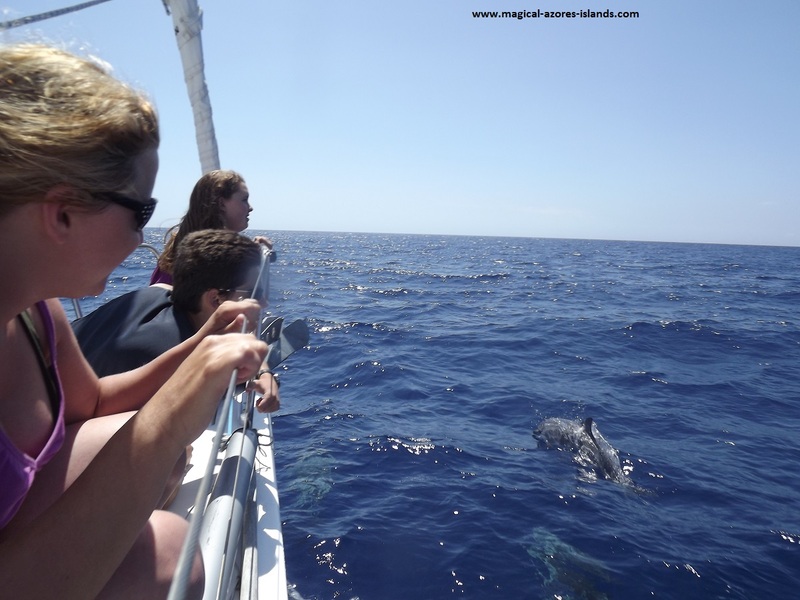 I have seen dolphins in captivity before, but nothing compares to the magic of seeing them in their environment and knowing that they are choosing to interact with you. After watching them in awe for a few minutes I realized that I could catch them on video with my camera. But unfortunately my skill and experience is limited and the batteries in my old digital camera were quite low. So I got nine seconds of grainy footage of several dolphins jumping out of the water as they swam along the boat. Nine low quality seconds. Darn it! I cursed at myself for taking a hundred pictures of the coast, the boat and my family in the previous two hours and depleting my batteries. And I cursed myself further for having the spare batteries down below. An experienced photographer/videographer would not have been caught unprepared. So I enjoyed the show for a few more minutes and then ran down below to replace my batteries. But guess what? When I got back on top the dolphins were gone! Thankfully someone else managed to get a picture. It was shortly after this that it was time to head back. The ride back was just as good as the ride out. I quietly hoped for more dolphins so I could try again. 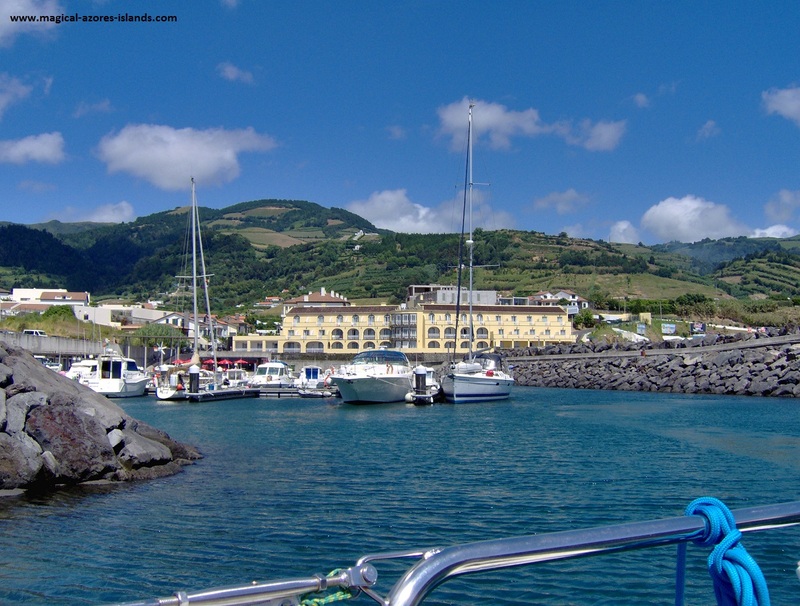 We were all quite satisfied with the time we had been on the water in this Azores sailing adventure. So when we were getting close to the marina my thoughts started to turn to what we would have for dinner or something along those lines. But then we got another bit of excitement ... a radio call came in from one of the whale watching towers. There were several whales just a couple miles out. Our captain asked if we minded being late for dinner. None of us minded the opportunity to go whale watching. The captain instructed his assistant to turn the engine on to aid the sails. He wanted maximum speed and the wind was not cooperating perfectly like he needed it to. But he had our attention and interest. He was running back and forth to the radio, hollering instructions to his assistant and to my father (who was back at the helm) and looking out into the coast. After about a half hour of this "excitement" I started to wonder if this was just a show for our benefit ... it was a good show mind you. But then a small whale watching boat passed us and I knew that this was not a show and my interest went back up. We ended up seeing several whales in the distance. But we never got close enough to allow me to get a good picture. It was a nice experience seeing them bobbing in and out of the water. 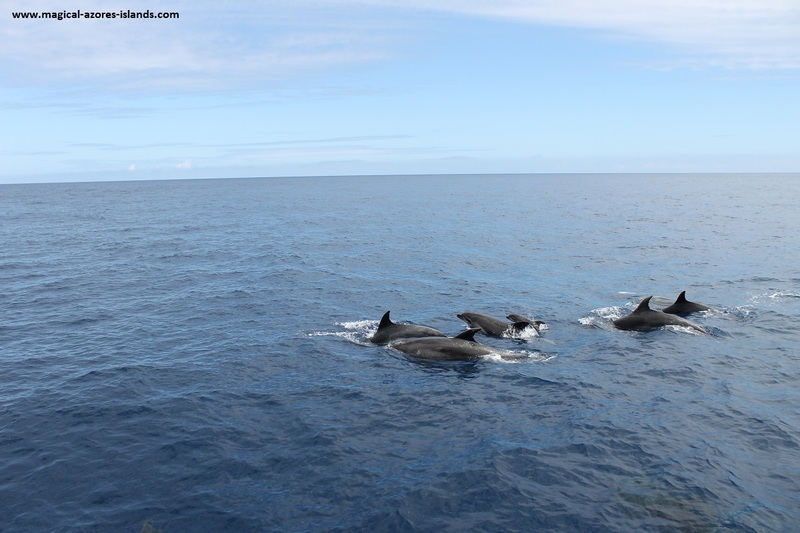 But it was a little anti-climatic after the anticipation and after how close the dolphins came to us. 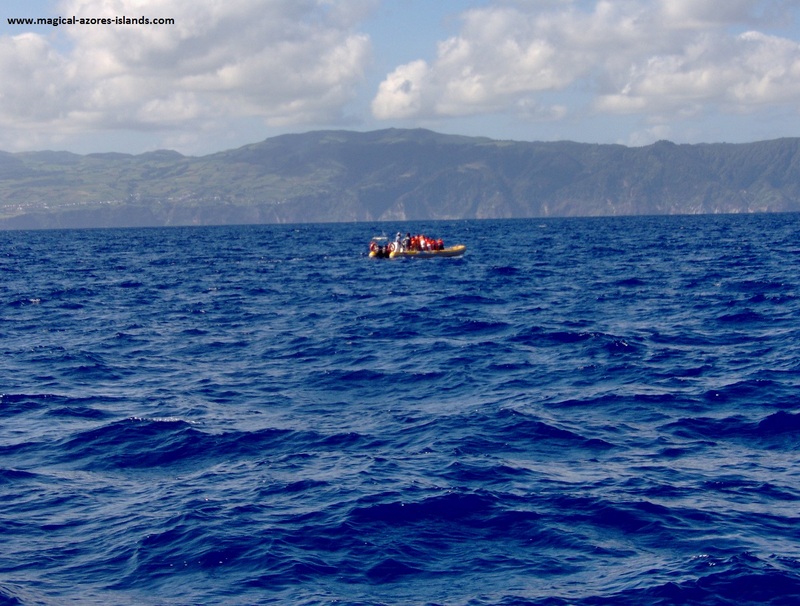 This concluded our Azores Sailing expedition. We got as close as we could manage to the whales and headed back to the marina, about an hour later than scheduled, which was very kind of our captain because I am sure it cost him plenty in fuel, greatly diminishing whatever profit he earned from us. As our Azores sailing experience wound up and the shore grew ever closer, a few of us celebrated our day by enjoying a nice cold beer. A great way to head back after a beautiful day on the water. 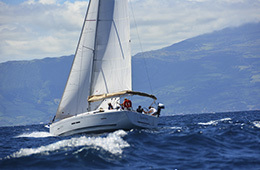 If you have the opportunity to go an Azores sailing trip, I highly recommend it.